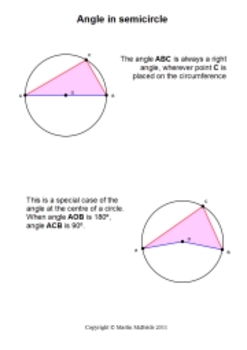 Three page PDF illustrating important facts about circle geometry using bright, clear diagrams. 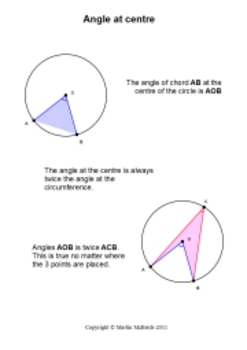 Topics covered include the the inscribed angle in a circle, the angle subtended by an arc at the centre of a circle, and the inscribed angle in a semicircle. 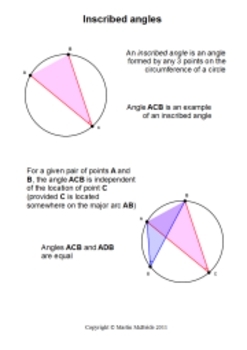 The pages each cover a single topic, and can be printed and used individually.